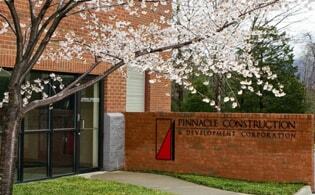 Pinnacle Construction & Development Corporation in Virginia strives to provide the best service a builder can produce. As a part of our efforts, we encourage you to contact us about your next Virginia Building, Development, Construction, or Management project. Please use the form on this page to request information, or contact us directly. Click here for directions and a location map.